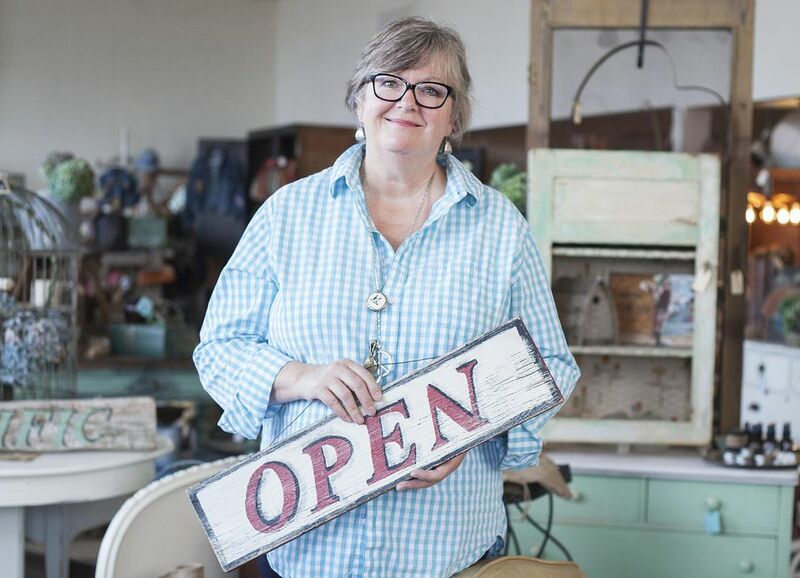 So you’ve thought about starting an antiques business to earn a few extra bucks while having some fun after you retire, but is it the right move for you? Asking yourself a few heartfelt questions, and answering honestly, will help you decide. Do You Want a Business You’re Going to Have to Work Hard to Be Successful? In theory, having a retirement antiques business sounds pretty easy. You hit the garage sales and flea markets looking for old stuff on the weekends, and then you sell the items in between your picking forays. What many people don’t realize is that in order to move an inventory you have to work at it. You may have to sell through multiple venues online and even have a space in an antique mall to rotate inventory and keep bringing in cash you can use to fund the shopping fun. You will also want to make sure you don’t squander your retirement savings on a bunch of junk that you’ll never be able to sell. Before you start buying, pore over the internet to see what is selling best in the fields you want to specialize in, be it furniture, glass, pottery, or what have you. The best pickers save their money for items that are in demand, even if that means paying a little more for them. Read everything you can find about your specialties online and in books, too. Talk with others interested in those types of antiques at shows in your area. Visit antique malls to see what’s common and inexpensive, and avoid buying those items. Learn to carefully check pieces for damage, and learn about reproductions that plague your interest areas as well. It takes a lot of work to be successful as an antiques dealer, and you’ll have to study diligently before you’ll feel like an “expert.” It’s doable though if you have the passion for it. Are You Willing to Do the Work to Make the Sale? Most dealers enjoy the treasure hunt aspect of the business. The thrill of the find motivates them. But what comes after isn’t usually as much fun. Selling online requires taking excellent photographs, writing good titles and descriptions, answering questions from potential customers, packing and shipping, and dealing with returns. Returns? Yes, there’s not an online venue out there that isn’t going to force you to take a return from time to time, even if you don’t want to. If you decide not to sell online, can you sustain an antique mall space? Rent and commissions are fairly high so you have to sell quite a bit to break even. If you do sell a ton of stuff, will you be able to find more at the right price to keep your booth or showcase stocked? Some co-op malls require you to work from time to time as well, and that may cut into that retirement time you value so much. Doing flea markets or shows requires lots of packing, transporting, unpacking, and packing up again. All that work not to mention being willing to spend several days setting up and sitting at a show to tend to your booth. Rents can range from reasonable to very high as well, so you have to make sure you sell enough to make it worth your while. Of course, some people enjoy the social aspect of show selling, so you might be willing to make less in order to spend time with your dealer friends. Are You in a Position to Break Even Monetarily? To be quite frank, there’s a good chance that you’re not going to make a whole lot of money through your retirement antiques business no matter where you’re selling. The best antiques and collectibles selling for big bucks aren’t usually the things you find at flea markets for a dollar, and competition is stiff these days. To amass an inventory that you’ll actually be able to turn for a good profit, you’ll probably have to sink quite a bit of money into it. Then, you’ll have to hold on to the goods until you find someone to pay you top dollar for them. What it boils down to is that if you need a real income to supplement your retirement, you can’t always count on selling antiques. The market can be very unpredictable with ebbs and flows. If you need a steady income to bolster your retirement nest egg, taking a part-time job with a set salary might be a better fit for you. On the other hand, if you’re very disciplined with your spending, willing to research before you shop as well as after, and value having the flexibility to work on your own schedule, an antiques business might work for you. Where Can You Sell Antiques and Collectibles?